Pablo Lobato’s family was like many others living in the Hispanic neighborhoods throughout Orange during the late 1950s. Having recently moved to California from the Southwest, his mother and father did whatever they could to provide a better life for their seven children. For the first few seasons living in Southern California, when Pablo was six years old, this meant following migrant work up and down the California coast. Pablo recalls bringing water to his mother, father, and brother in the cotton fields – walking two hours each way multiple times a day. The family slowly began saving money for the future, but when Pablo’s father became very sick, they moved back to Orange with other family members for good. It wasn’t long until Pablo’s father had passed on, leaving his mother to raise his brothers and sisters. Though this was a dark time for the family, changes for the better came when they qualified for some government assistance and started receiving aid from a community center across the street from their home called Friendly Center. Though Pablo might not remember the names of every Friendly Center volunteer who helped his family through those years, he certainly remembers how Friendly Center made him feel: hopeful, dignified, and understood. He recalls the way Friendly Center would actively seek out families like his and lend a gracious, helping hand. Pablo notes, “At 13 years of age, I knew we were poor, and I was embarrassed.” Looking back, he thinks Friendly Center’s biggest impact during this period was its position in the community as a place that took special interest and care of the neighborhood’s youth. Not only did Friendly Center provide food and rental assistance at that time, it also had programs to keep neighborhood kids active in their community through sports teams, camping trips, dances, and other recreational activities. Friendly Center board members like Fred Barrera and Jim Silva made a lasting impact – he remembers both fondly as role models always willing to go the extra mile, like when Fred loaned his truck for camping trips and Jim helped Pablo find a job. He even recalls an event coordinated through Friendly Center that allowed him and his younger brother to go to Disneyland. Growing up in poverty, these experiences meant the world. Pablo marks Friendly Center as a through line in his childhood, an organization that made the difference in giving him and his family assistance, mentors, memories, and hope that has lasted a lifetime. 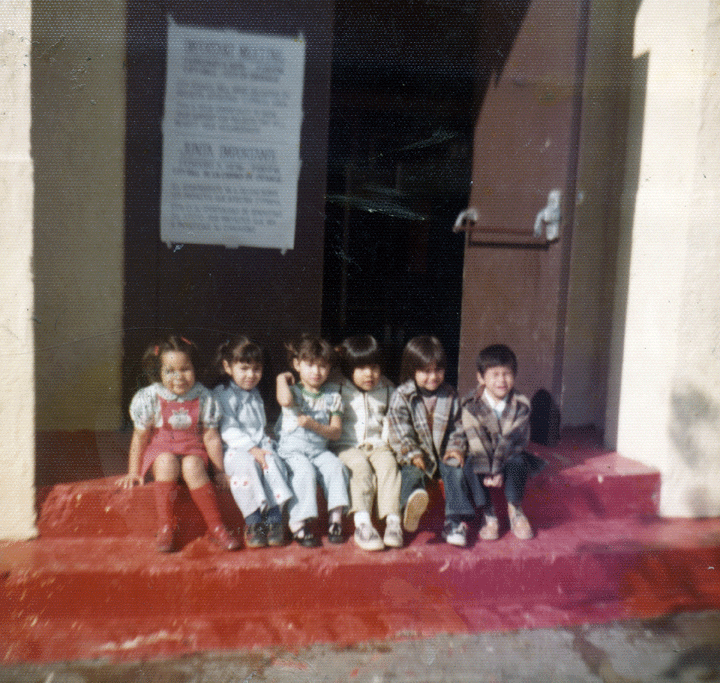 So much of what Pablo remembers about Friendly Center programs of yesteryear like food distribution, holiday outreach, and adult support groups are still pillars of Friendly Center today. Pablo, now a retired City of Orange employee, not only thanks Friendly Center for him and his siblings having so much opportunity – he also can’t help but think of the ways his children, nieces, nephews, and grandchildren have been impacted by Friendly Center as a result of their family having it as a resource growing up. Pablo was proud to share that today his son is a fire captain with the city of Orange and his daughter works for the Orange County Sheriff’s Department. There are so many families like Pablo’s whose lives have been impacted by Friendly Center over the last 95 years – and so many more who have Friendly Center to rely on today in seasons of hardship and need. In celebration of Friendly Center’s 95th anniversary, we are raising $10,000 to ensure children in need in our communities continue to receive vital services. Help us reach our goal by donating here.